One of the most important decisions when you move to a new city for work is whether you should rent an apartment or buy your own home. Of course, this decision depends on a number of factors such as your financial situation, for how long you plan to stay there, whether you are married or single, whether you have children or not, and your personal preferences. While all these factors vary from one person to the next, there is one objective indicator which should also guide your choice of renting vs. buying. This is the price to rent ratio in the real estate market you are moving to. The price to rent ratio is a fancy name for a simple concept in real estate. The ratio measures the average property price in the local housing market divided by the average annual rent. 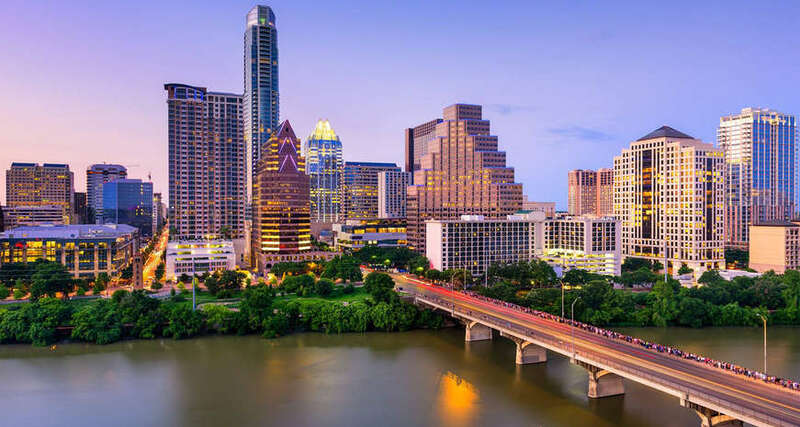 If 2019 is bringing you to Austin, TX and you are wondering how to settle your living situation, you should know that the price to rent ratio in the Capital of Texas is high, which means that you are better off renting an apartment rather than buying a home. To be specific, according to data from Mashvisor, a real estate data analytics company, the price to rent ratio in Austin in January 2019 is 23. How Do Rents Look in Austin in 2019? Now that we’ve resolved the matter of renting vs. buying in Austin, it’s time to look at rents in the city. Mashvisor’s data shows a significant variation in the rental rates in the Capital of Texas. Rent is the lowest in the Hyde Park neighborhood, at $880 per month. Meanwhile, the neighborhood with the highest rental rate is Barton Creek, at $2,680, which is 3 times the level in Hyde Park. This is a major difference for someone on a budget, as most renters are. The average rent you can expect in Austin in 2019 is $1,950. There is another factor which makes Hyde Park an excellent location for renting an apartment: namely, the high Walk Score of 78, which exceeds the city-level average score of 49, according to Redfin. At the same time, the Barton Creek neighborhood has a Walk Score of only 2, which means that residents will need to spend a significant amount of money on public transportation or own a car. Since most renters have a relatively limited budget, this option is suboptimal. Of course, Hyde Park and Barton Creek are not the only neighborhoods in Austin which renters should consider. Following is a list of the most affordable neighborhoods to rent an apartment or another property in the Capital of Texas. So, these are the 18 neighborhoods in Austin, TX which offer a rental rate below the city average of $1,950. Everyone who has ever looked for an apartment to rent knows that finding a good rental property at an affordable price takes a lot of time and efforts. This is particularly the case in metropolitan cities where you don’t even know where to start the search process because of the numerous opportunities and the widely varying price ranges. If you are looking for a rental apartment in Austin, now you know where to start depending on your budget and transportation options. To find the best apartment to rent in Austin this year, click here. Also, if you’re looking for homeownership resources, check out some property tax guides here.